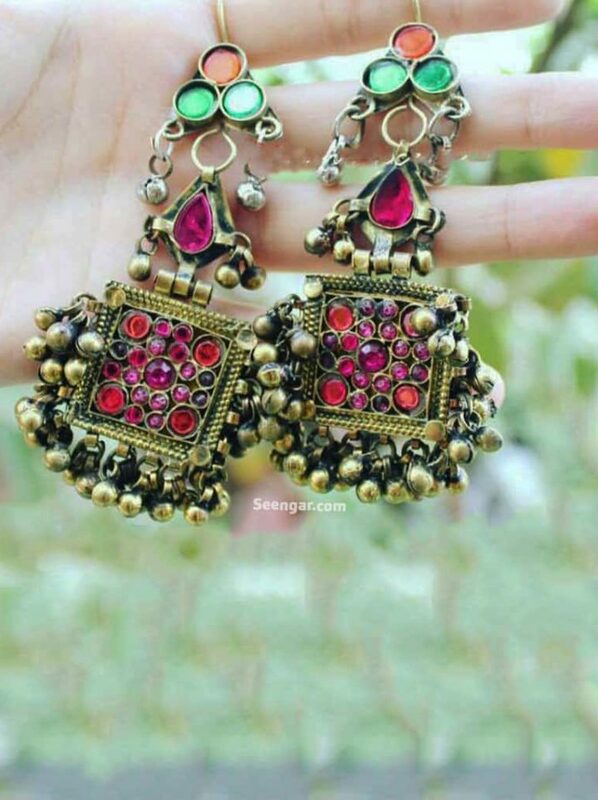 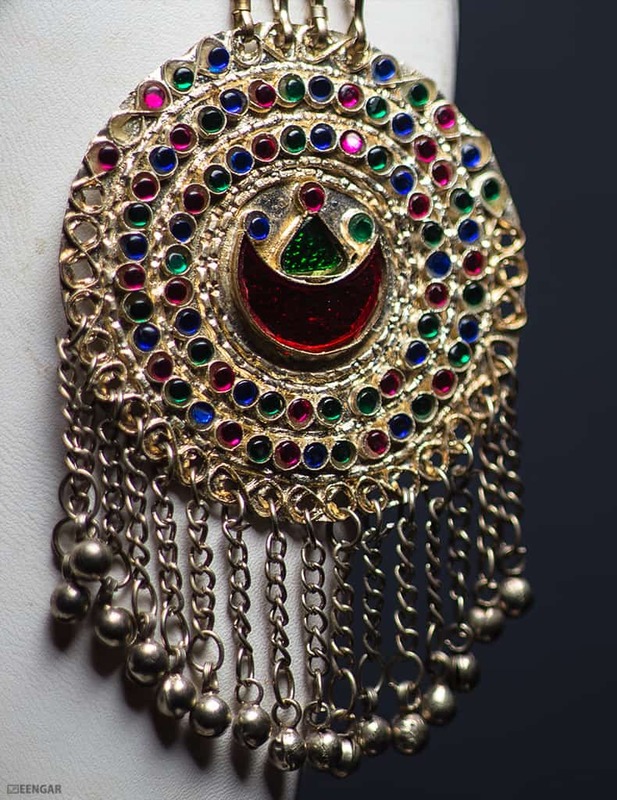 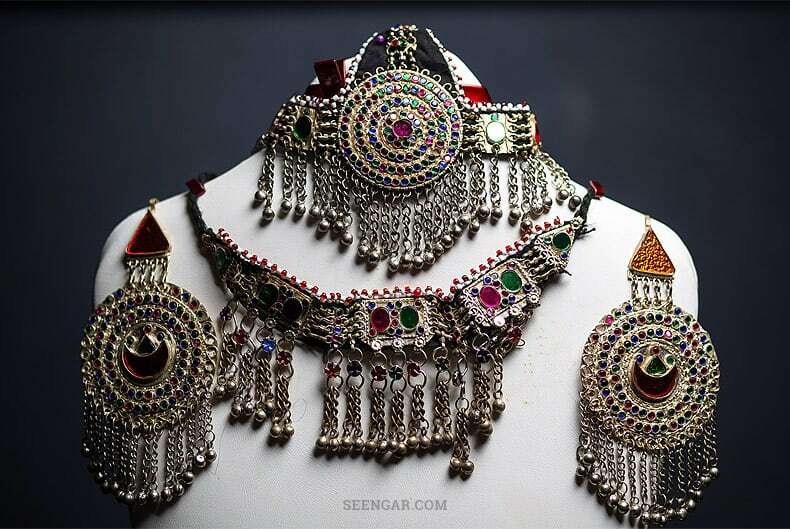 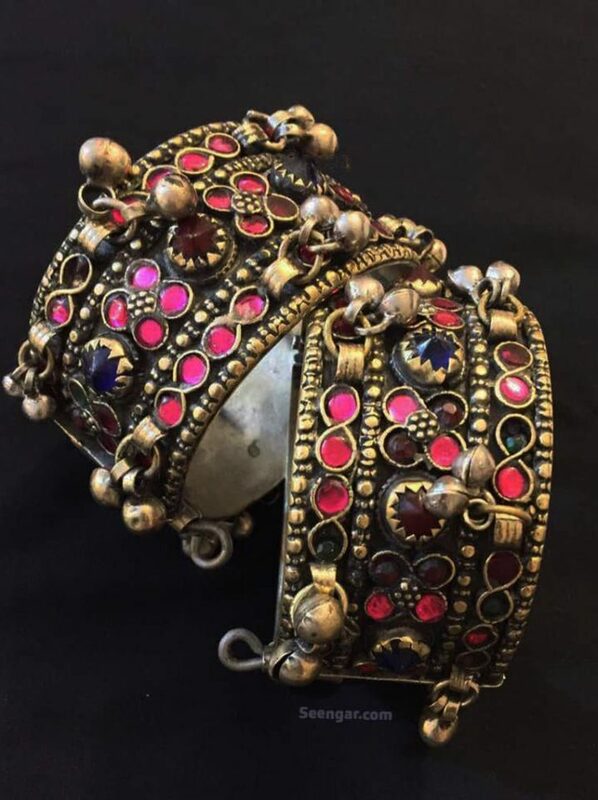 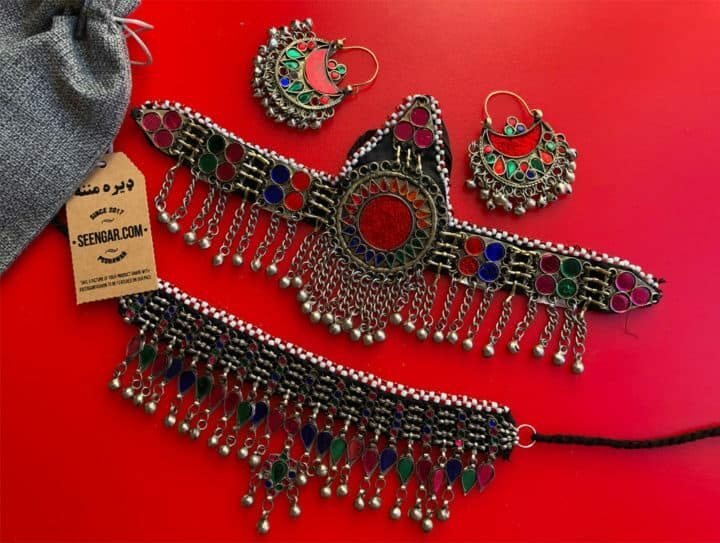 This Bridal Jewelry set is widely used in Afghan Kuchi tribe which has beautiful matching earing, Matha Patti and necklace. 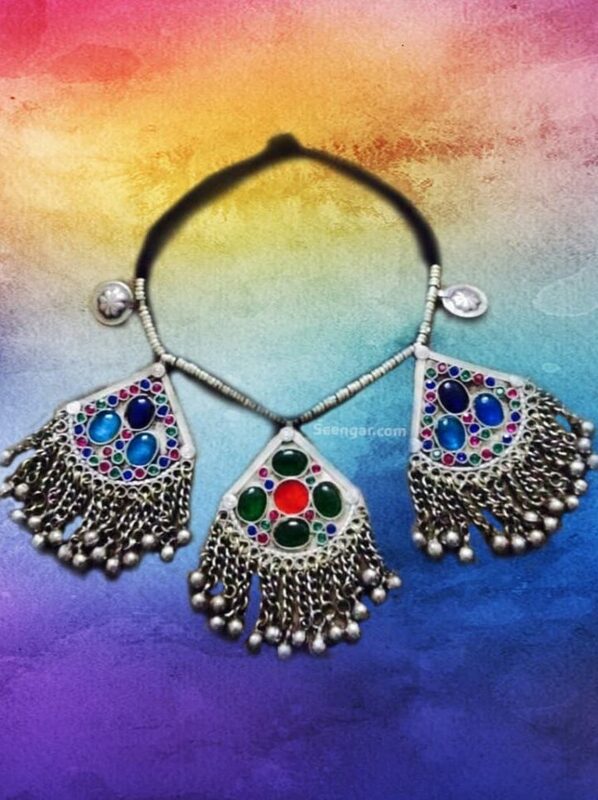 Necklace and earing have hanging chains with anklets balls and colorful gems which makes it more attractive and sharp. The complete set is best for bridal or any other cultural event to makes you stand-out in the crowd.